One of Rainmaker Advertising’s first clients more than 20 years ago was the Plano Repertory Theatre. Since that time, they’ve worked with countless theater organizations and are thrilled that KD Studio has approached us for marketing assistance. 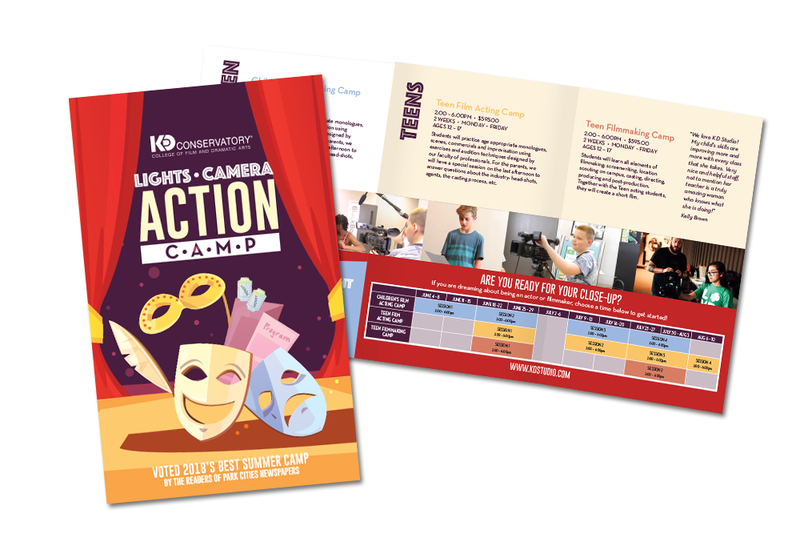 This direct-mail piece targets youth and teens for summer camp and was fun to create for this Dallas institution.